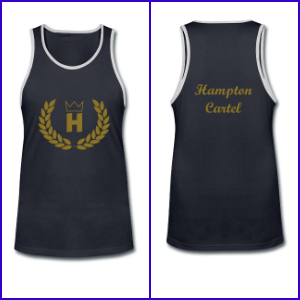 Hampton Cartel is an exclusive clothing line tailored to stand out. The name is derived from the one of the wealthiest parts of New York -- The Hamptons and the lifestyle that it entails. Hampton Cartel grabs the essence of the luxury of life into a clothing line that not only stands out in the Hamptons, it carries on through the people who wear it bringing the luxury of the life with them. The crown, reef logo with the prominent letter H within captures the eyes where ever you might go and people will know the luxury of life that you wear, Hampton Cartel. 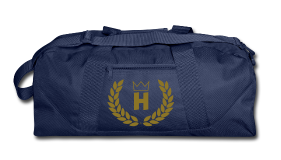 This up-and-coming urban luxury brand infuses its regal looking logo into all its products which include their signature duffel bag, caps, and tops. 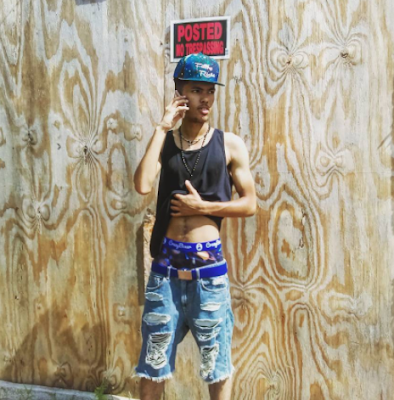 "Hampton Cartel Clothing tries to obtain both the laid back persona of the Hamptons while still integrating the luxury side of life. Tank Tops, V-Neck Shirts and flat brim hats are the three of the many other items we manufacture under Hampton Cartel we try to focus on" explains the company founder. My favorite item from the line is the flat brim Hampton Cartel snapback baseball cap, shown below. It retails on their site for 30 bucks. Check out all their gear on their website at http://hamptoncartel.spreadshirt.com/. I have been waiting for something like this! Just ordered a few days ago and got here today. Love it! I just saw a handsome man wearing the shirt and they look sharp. I just ordered one for my man. I ordered this brand, love it. Also a very soft cotton.